A great offer on WD Element Portable 1TB USB 3.0 in just 3229 Rs, the Regular price of this Portable external HDD is 4831 Rs, but only for very limited time, the price of WD Element portable 1 TB USB hard drive goes down to 3229 Rs, and you are saving 1600 Rs on Amazon. When you have a lots of personal data like movies, songs and many other office documents data, and you need to make them secure and portable that you can take the hard drive to anywhere and connect to any computer or laptop, then in 3229 rs it's not a bad deal, but it's a steal deal. So, grab it before the price go on it's regular level. How to Grab the WD Element 3.0 External Hard drive at33% Discount? COD also available and yes delivery is FREE! WD Element is the no. 1 brand in the Hard disk and memory storage products and this is one of the best offer you can avail in the HDD section. 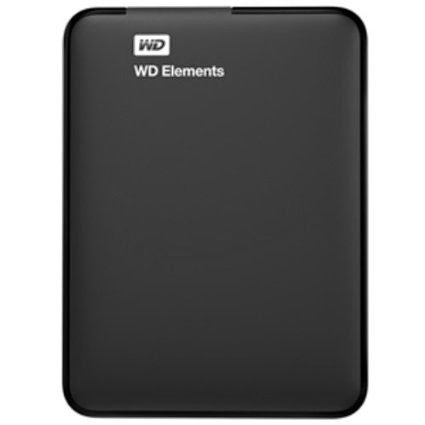 3229 Rs is the lowest price in india for WD Element Portable 3.0 External harddisk.